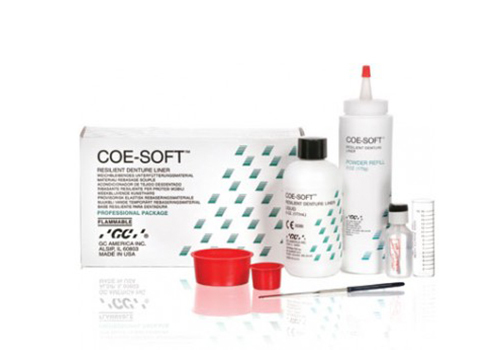 COE-SOFT is a resilient, self-curing reline material that is used when the patient requires a soft, temporary liner in upper or lower dentures. COE-SOFT polymerizes in or out of the mouth in approximately 15 minutes. The reline will normally last for approximately 3 months.